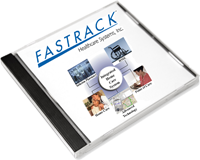 Fastrack PECOS Automation - To overcome the difficulty in utilizing the PECOS enrolled physician list released by CMS, Fastrack is the first software vendor providing its’ clients a fully automated solution. Fastrack Integration with Cpapdropship.com - Fastrack Healthcare Systems and cpapdropship.com announced today a strategic alliance designed to automate the shipping of CPAP products direct to patients which will reduce operating costs for providers and improve patient compliance. Create alerts in specific areas of the system to inform staff members of potential situations, requirements or changes. For example, you might want to create an alert in a specific patient record that the patient should be notified prior to making deliveries to their home. When an order is entered for that patient, the alert opens and the person processing the order is forewarned. Perhaps a payer has a specific requirement that your staff needs to be made aware of, by using the Fastrack Alert feature they will see a pop-up window that will provide the information they need. Alerts appear in the system area where they were set up, as well as in Order Entry/Edit, Order Confirmation, Rx Edit, and Referral Edit. They can be created for a specific time frame by attaching a date range to the alert (from date and to date). The alerts are activated and displayed when you enter an order from Order Entry/Edit and Order Confirmation, RX, and when a Referral or Facility is selected in the Patient and Order screens. Version 2010 includes extensive enhancements to the Workers Compensation Module. Additional custom form templates that can easily be modified to meet specific company needs and new Business Intelligence analysis cubes. Fastrack has also added more functionality to the Workflow Manager, Purchase Orders and Point of Sale features. QuickBooks Integration - Fastrack can now interface to virtually any version (since 2002) of QuickBooks. The interface will help eliminate dual entry of G/L and A/P data. A second QuickBooks I/F Module was designed for Home Care Agencies for processing payroll. In addition, Fastrack offers an Accounting System Interface Module that allows users to link to almost all other accounting systems. Fastrack unveiled a new On-Line Purchasing Module that will send purchase orders electronically to manufacturers and distributors. Providers can receive back order acknowledgements, advance ship notice/manifest and invoices. If available, clients can download the vendor's catalog and choose the products they want to populate the Fastrack product database. Fastrack offers New York Medicaid DVS On-Line Eligibility. Fastrack has combined the clinical functionality of the Point of Care system with our cellular based automated delivery capabilities, providing respiratory therapists with a very powerful tool. In addition to the Tablet PCs and notebooks, the software will now run on the new UMPC's which feature a small foot print, 7” screen and are much lighter in weight, usually under 2 lbs. The Point of Care Module allows therapists or nurses to take a device to the patient's home that includes the patient’s demographics, equipment, supplies and services previously provided and the appropriate forms needed to be completed with the ability to capture the patient's signature. The delivery component allows respiratory therapist, nurses and other field staff to capture information such as product (i.e. - CPAP), serial or lot number, co-pay/COD amounts, etc. and effectively confirm the delivery real-time via a cellular connection. The new Fastrack Credit Card Processing Module allows Fastrack clients to process credit and debit cards via the Internet from within the Fastrack software. Processing can be done from within patient intake, order entry, direct billing, A/R collections, cash posting and point of sale or collected right at the patient's home. Additional features include the ability to store the patient's credit card information, a variety of reports including an end of day reconciliation report and for security purposes all credit card information is encrypted.